Halloween cluster bracelet in black and orange color. 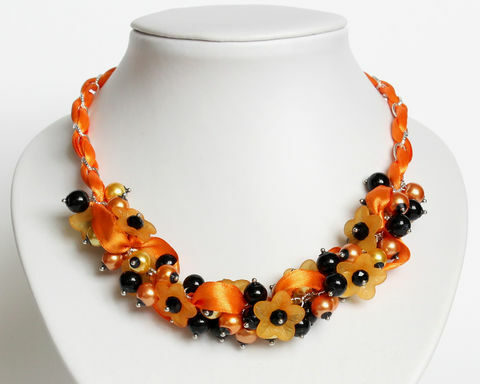 Made with glass pearl beads and matte orange color flower beads. Interlaced with a matching orange ribbon. Also suitable for bridesmaid, for prom, banquet, wedding party or any dress-up events.